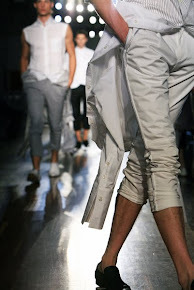 Michael Kors has partnered with the United Nations World Food Programme (WFP) to help fight global hunger. Join Michael Kors on October 16 to spread awareness about this important cause. The time has come, it's World Food Day, a day to focus on the world's greatest solvable problem - hunger. So learn, share, discuss, donate. Founded by the Food and Agriculture Organization of the United Nations in 1979, World Food Day is observed every year in more than 150 countries to help raise awareness of the issues behind poverty and hunger. Visit one of the six participating Michael Kors stores (in New York, Berlin, Tokyo, Hong Kong and Rio de Janeiro) on October 16 to receive a free “Watch Hunger Stop” T-shirt and have your picture taken in our photo booth. The image (an animated GIF) will be texted to you so you can share it on your social networks using the hashtag #WatchHungerStop. And discover the 100 series watch by Michael Kors. 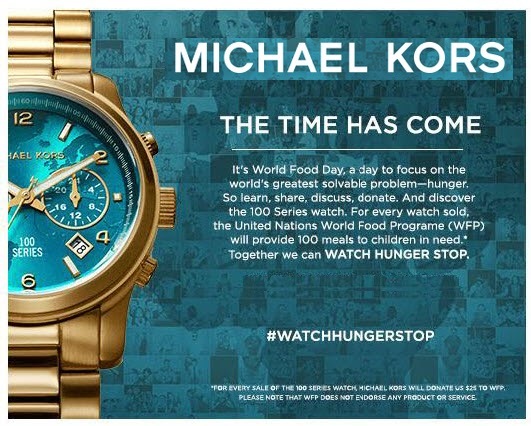 For every watch sold Michael Kors will donate 25 USD to WFP, the United Nations World Food Programma, helping WFP to provide 100 meals to children in need. Your image will be live-streamed to several digital billboards in Times Square, where thousands of people will be a part of the conversation. All the photos will also live on WatchHungerStop.com/Billboard so you can print or share them when you’re done!